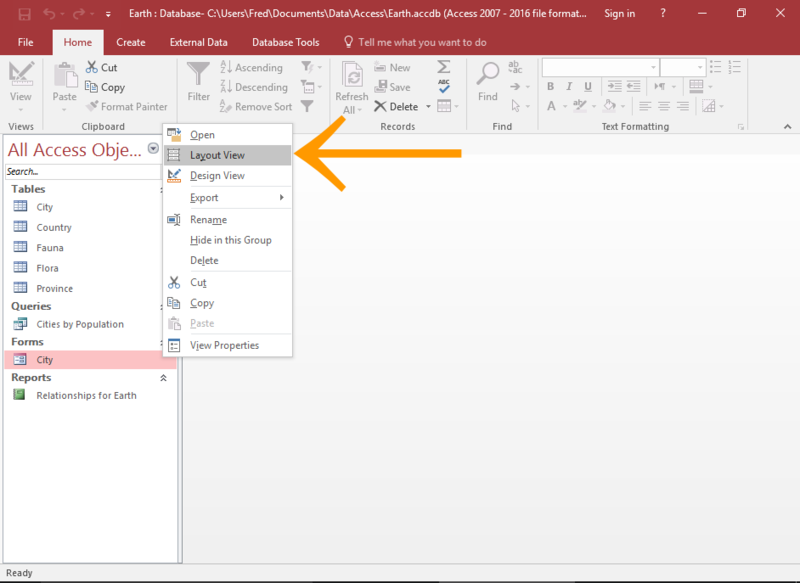 ﻿ How To Add A Lookup Control To A Form In Access 2016? 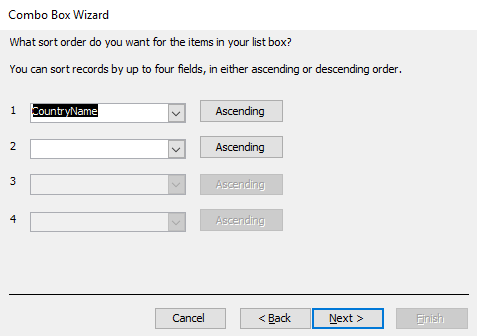 How To Add A Lookup Control To A Form In Access 2016? A lookup field can display user’s friendly value that is bound to another value in the source data table or value list. Sometime it happens that the value you need is tracked in another table. Suppose you want to record the customer for an order in the orders table. However all the customer details is tracked in the Customers table. Well you can create a lookup column that displays the customer information in a combo box or list box control. So, when you select the customer in that control, an appropriate value such as the customer’s primary key value is get stored in the Order record. Wants to now how can you add a lookup control? 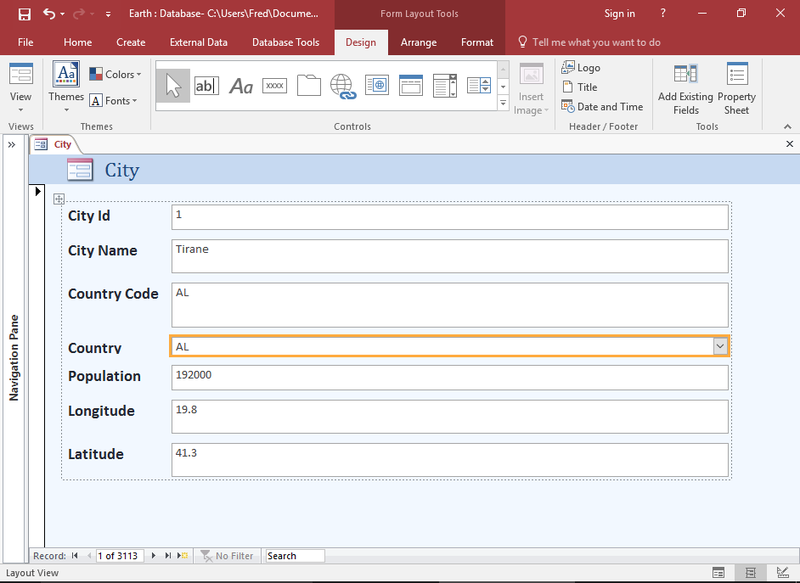 Don’t worry, here in this tutorial we will discuss about how you can easily add a lookup control to a form in Access 2016. 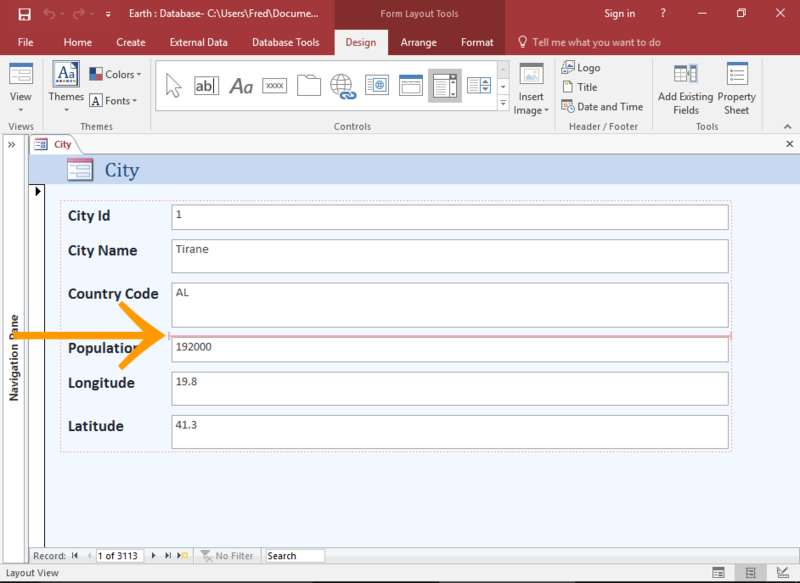 Here in this tutorial we are assuming an example, as you can see that the form has a country code field. This displays the country code rather than the country name. 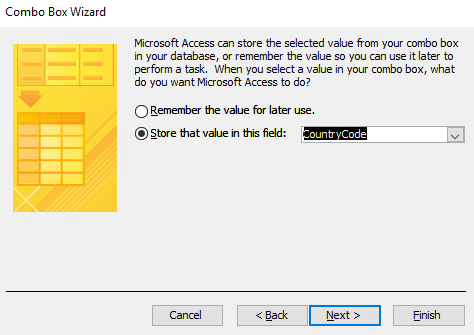 If you need to display the country name to the user, you should do this just by adding a lookup control. In this case, you will add a combo box that looks up the country name from the primary table. 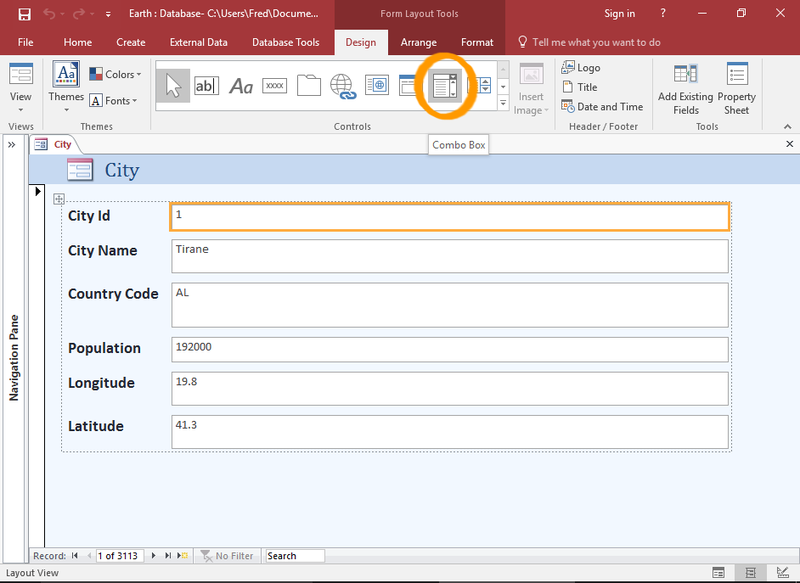 From the left navigation pane, make a right click on the Form and select Layout view. Hit the Combo Box button in the ribbon from the Design tab. Now take the cursor over the form where you like to put the combo box. Red line indicates that where your cursor is actually. After keeping the red line in the correct position, click in that position. 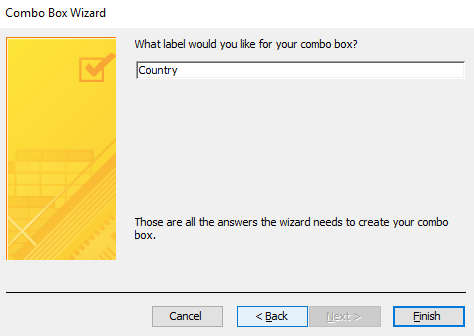 This will launch the Combo Box Wizard. Select I want the combo box to get the values from another table or query. Click Next. 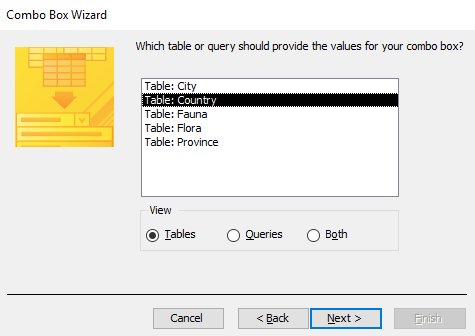 Select the table or query that contains the value you wants to show in the combo box. Click to the next option. 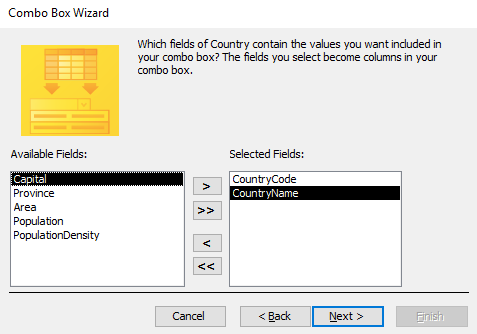 Select the fields that contain the value you need to include in the combo box. This must contain all the value you would like to display along with the foreign key data. Click to the Next option. Specify how you would like the value to be sorted. 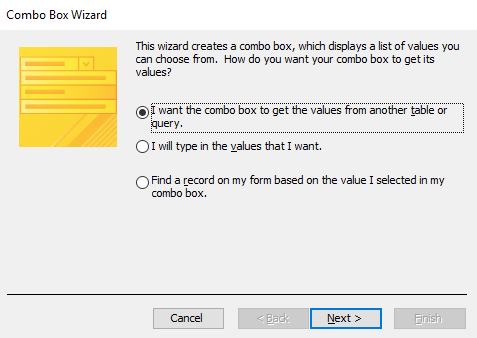 As this determines how the user will see the values in the combo box. After then click to the Next option. You can also make adjustments of the column width. Scroll down to make sure that combo box is wide enough for all the data. 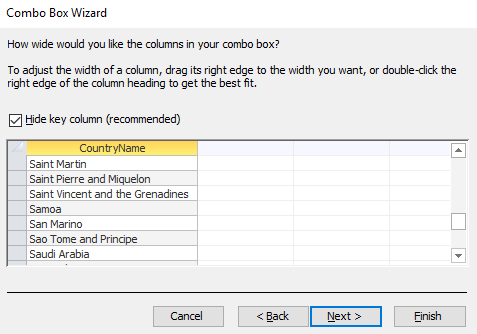 In order to display the foreign key data in the combo box, uncheck Hide key column (recommended). You can do this if you think it will make user convenient to use. Select Store that value in this field and then select the field from the drop-down list. After then click to the next option. Assign name for the control label. At last click to the Finish option. You can see that, the lookup control has now been added to the form.